Where: We will run these trips in Verbier and the “4 vallee” resorts. Verbier can be reached easily from Geneva airport via the Swiss rail system or a private or shared transfer. Allow about two and a half hours from the airport to arrive in Le Chable where accommodation will be provided. Le Chable is a 10 minute gondola ride from the town center of Verbier and there are restaurants within walking distance to the hotel. The gondola runs until 7:30 in the evening allowing you to profit from some après ski in Verbier itself. It is also possible to arrange a taxi if you want to stay later in Verbier. 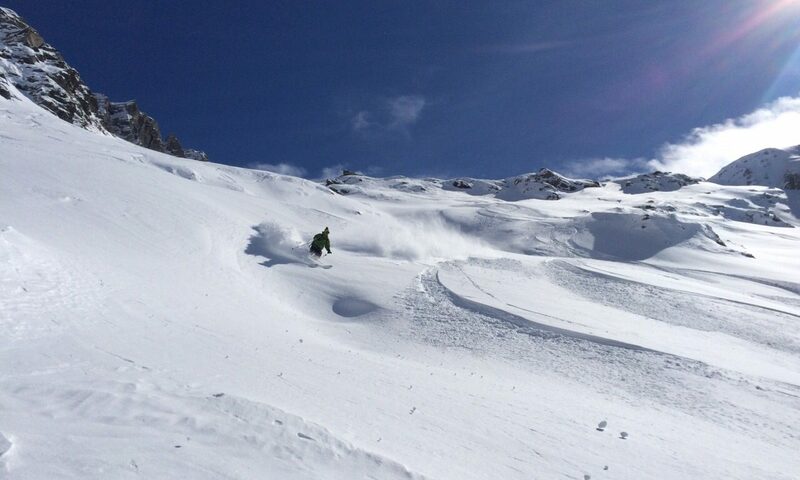 What: In our opinion Verbier offers the best off-piste and resort accessed ski touring in the Western Alps. From the hotel, the lift is a short 5 minute walk, which gives you access to 4 different resorts and a seemingly unlimited number of runs, both in and out of the resort bounds. Our plan will be to chase the best conditions during the five days while exploring the different resorts. Who: Anyone with an intermediate level of skiing is suitable for this trip. While not necessary, it is best to have some touring experience or be open to doing short hikes, which will help find some untracked snow. Touring gear can be rented locally and there are tours suitable for any level. Ideally, all the group members will have a similar level of skiing experience and we can help organize this depending on signups. The best is to try and sign up with a group of friends or family where you know everyone’s abilities. The trip is designed to run as a 4:1 client/guide ratio, but these numbers can be changed to accommodate different group sizes. The price of the trip will change if the ratio changes, so please contact us to discuss a larger or smaller group. Avalanche safety gear: beacon, shovel, probe and backpack. We do not supply or rent “airbag” avalanche packs, but they can be hired at local shops.